Medical Marijuana: How Will it Impact WC Claims? Tru-Bilt Farm and Commercial Building Co.
JMB Equipment Rental & Sales, Inc. The Marion Chamber of Commerce is launching a Chamber Gift Certificate program. 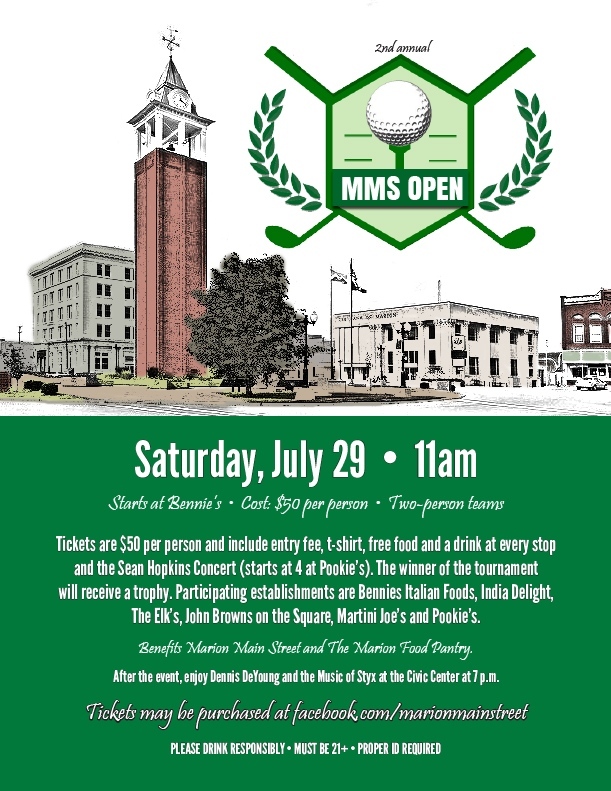 Members of the Marion Chamber of Commerce are encouraged to sign up to be a part of the program. It’s the perfect gift! The recipient has a choice of more than 100 places in the Marion area to use their certificate: retail, shopping, car repair, entertainment, dining, etc. Promotion: The Chamber promotes the program on the Chamber Web site, social media, in the Chamber newsletters and more. Your business name is promoted on every certificate. A special icon is used in the Chamber Directory for all participants, and you are provided a special “Marion Chamber of Commerce Gift Certificates Accepted Here” decal to display at your business. 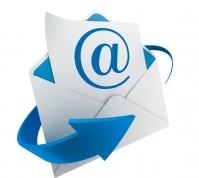 Simple and cost-effective: No paperwork, just mail the redeemed certificate to the Chamber. We reimburse you 95% of the face value, in a timely manner. The Chamber keeps 5% to cover supplies, administrative costs and promotions. Marion Chamber Gift Certificate is purchased from the Chamber office. Recipient redeems gift certificate using entire amount (no change need be given) to purchase goods or services, choosing from one of the many participating businesses listed on the face of the gift certificate. Participating business signs the gift certificate acknowledging redemption. Participating business turns in the gift certificate to the Chamber office (via mail or in person) and, within two weeks of receiving the redeemed certificate, the Chamber will issue a reimbursement check for 95% of the face value of each redeemed Gift Certificate. The Marion Chamber of Commerce is happy to to offer to members the sponsorship opportunity at the Monthly Membership Luncheons, held on the second Tuesday of each month (except for January) for $150. The Marion Chamber of Commerce Monthly Membership Luncheon will be held on Tuesday, July 11 at noon at Kokopelli. Walker's Bluff Cabernet with the Marion/Kanie Sister City label. Bottles are $30.84 each. Walker's Bluff Moscato with the Marion/Kanie Sister City label. Bottles are $20.38 each. Security Alarm Corp. is the sponsor of the July Monthly Membership Luncheon. The cost for lunch is $15, payable at the door. If any Marion Chamber of Commerce member would like to have fliers for an upcoming event, announcements, etc. given to each attendee at the luncheon, please contact the Chamber at 618.997.6311 to arrange for delivery of the fliers prior to the luncheon. 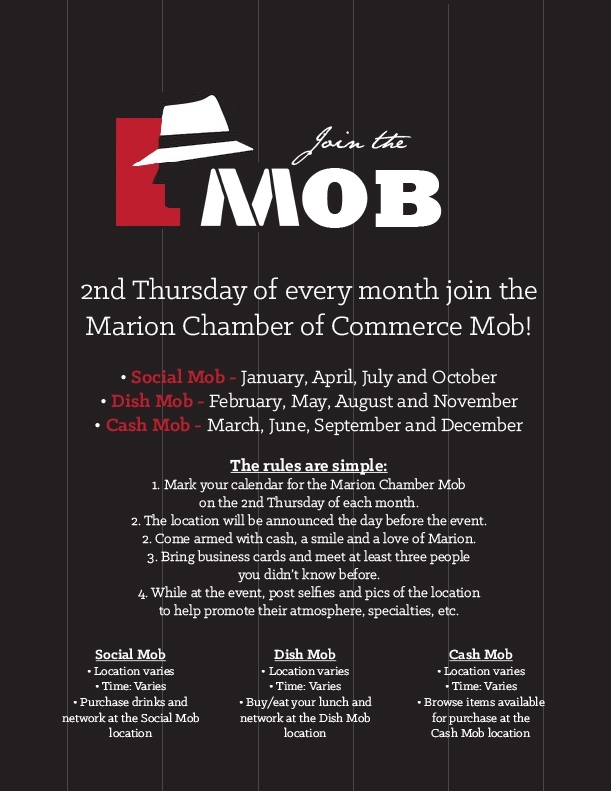 Join the Marion Chamber Social Mob! The next Social Mob will be held from 4-6 p.m. on Thursday, July 13 at a Marion-area business. The owner has agreed to offer 15% food and drinks at the event. Click the image to RSVP. 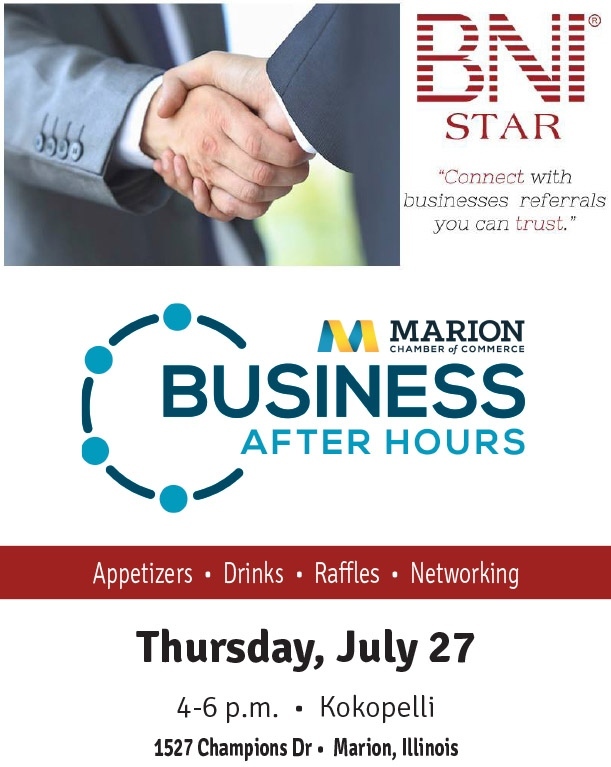 BNI Star will host a Business After Hours program on Thursday, July 27 from 4-6 p.m. at Kokopelli, 1527 Champions Drive, Marion. 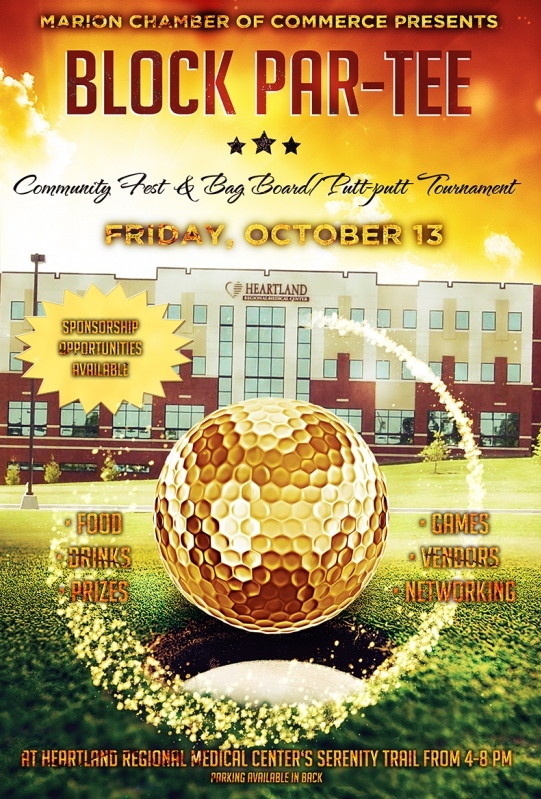 The event will include appetizers, drinks, raffles and networking. Click on the image to RSVP. 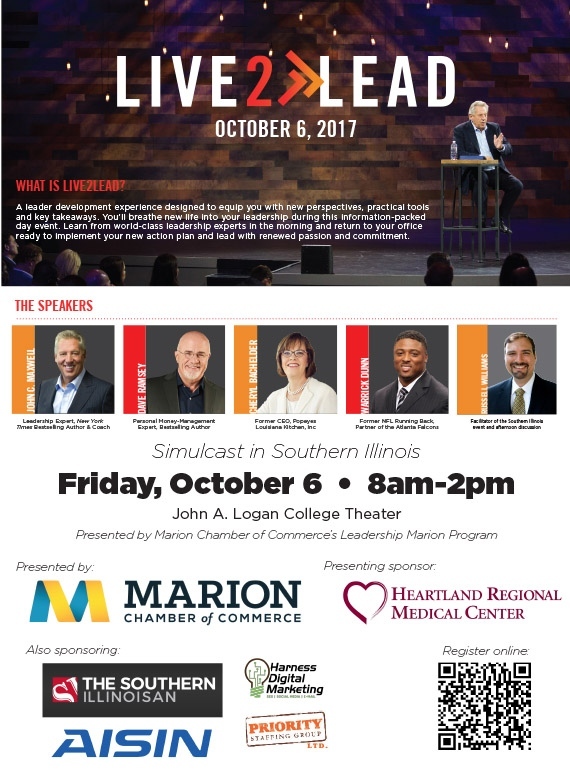 Live2Lead will be presented in Southern Illinois on October 6, 2017 at John A. Logan College in the theater. 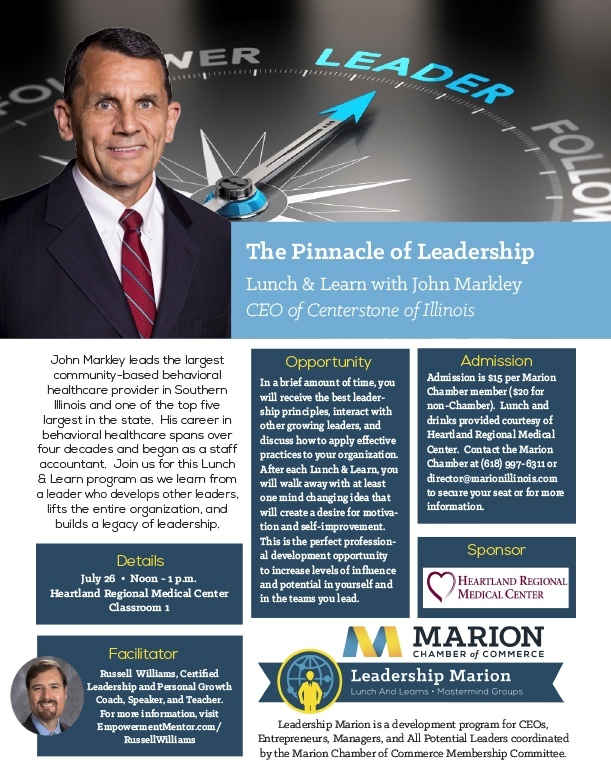 The worldwide leadership simulcast event will be hosted by Marion Chamber of Commerce and is sponsored by Heartland Regional Medical Center. Doors open at 7 am for registration. Live2Lead begins at 8 am and concludes at 2:30 pm. Join the Marion Chamber Dish Mob on August 10 from 7:30-8:30 a.m. at a Marion restaurant. The owners have agreed to offer a 5% discount to all who attend. Every quarter the Marion Chamber of Commerce Membership Committee holds a New Member Quarterly Luncheon. This quarter’s New Member Quarterly Luncheon will be held at noon at Buffalo Wild Wings on August 15. 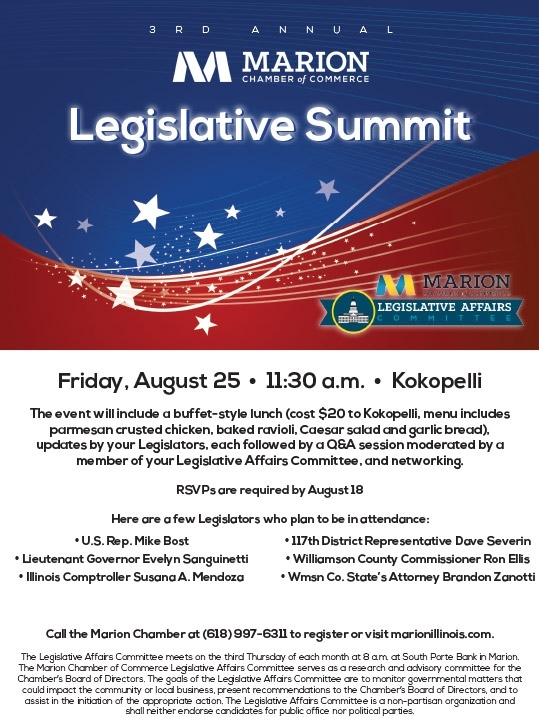 The 3rd annual Marion Chamber of Commerce Legislative Summit will be held on Friday, August 25 at 11:30 a.m. at Kokopelli. The event will include a buffet-style lunch (cost $20 to Kokopelli), updates by your Legislators, each followed by a Q&A session moderated by a member of your Legislative Affairs Committee, and networking. Deadline to RSVP is August 18. Doug Mars Pedal The Cause Update .... Less then 90 days to go for the Ride!! Your vote could make the Southern Illinois Miner's #1!